When something goes wrong at the space you’re renting, is your first thought to call the property management company? This DIY series may save you both time and money. Some repairs may not be as complicated as you think, involving only minor steps that you can take to resolve the situation. 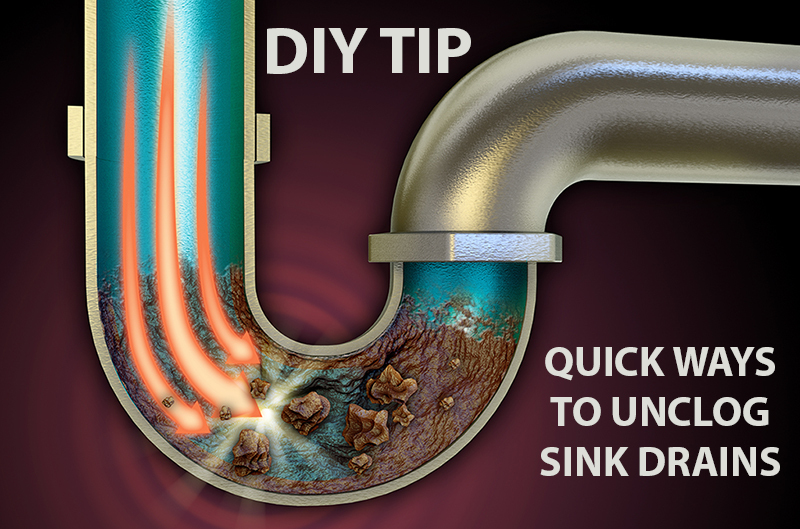 Here’s the first DIY tip for this series… how to clear a clogged sink drain. If you have a clogged sink drain, plunging is the first resort and best option for removing a clog. This is the safest course of action as it the least likely to cause costly pipe damage. Step 1: Fill a bucket with about 4 inches of water. You need to be sure to have standing water in the clogged basin or whichever basin you’re plunging. It may drain slow so water may need to be added after each plunge session. Step 2: Ask someone to hold either a rag or a closed sink strainer over the clogged drain. Step 3: On the other side of the sink, take a plunger and plunge the alternate drain. Most clogs should disappear after 12 plunges or so. The suction motion is what causes most of the clog breakage and does most of the work. Step 4: If the clog persists, switch positions with your helper and plunge the drain in the other basin. Step 5: For stubborn clogs, a sink auger may be needed to remove the blockage. After steps 1 through 4 have been taken, call your property management company or landlord to come out to advise you on next steps.